And the market for these types of cars is becoming more and more competitive because the demand for these vehicles is increasing every day. 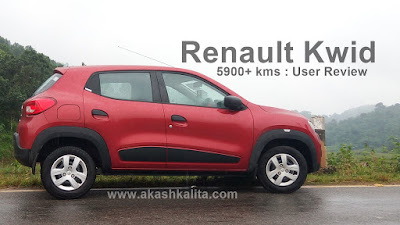 Among many budget cars, one car that is worth mentioning is the Renault Kwid. 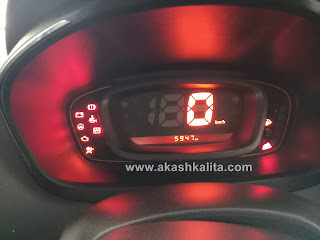 The number of Kwids on the road are increasing everyday and there are reasons behind it; Kwid is a stylish looking vehicle, has a SUV like stance, the size is compact, does not cost much, and has a good fuel efficiency too. Having driven a 2017 Kwid RXT(O), 800cc myself for almost 6000 kms now, the time could not be better to share the user experience. Looks are subjective and the same has been mentioned in the blog 'Suzuki Gixxer Long Term Review : 16,600+ KM' but still it is one of the most important aspects to be taken into account while buying a car because no one wants an ugly looking car parked in their garage, that they are too ashamed to drive to parties. Hence, it brings us to the first topic to be discussed about the Kwid, i.e., 'Looks'. The Kwid is undoubtedly a good looking hatchback. The SUV type stance of the car does add to its good aesthetics and also makes it look bigger than its competitor, like the Maruti Suzuki Alto 800. The paint quality on the body also looks good and has a metallic finish. Renault has made wide range of customization options available for the Kwid. 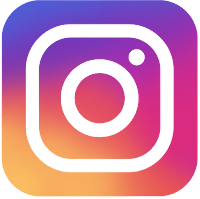 There are options for different decals, chromes packages, seat covers, floor mats, body panel, and many more to make your car stand out of the crowd. 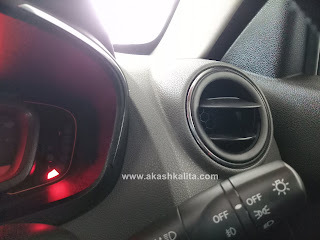 The Kwid that I drive has a 'smart chrome' package added on to it which includes chrome front grill inserts, chrome door handles, chrome boot strip, and chrome finish around the gear shift lever. The quality of the chrome looks good and till now there is no fading or stripping of the chrome. Nothing looks out of the proportions but the tyres could have been little bit wider to match the overall SUV like looks of the car. But nothing to complain about. The interior of the Kwid is simple. The dashboard and the door panels are single tone but could have been given a dual tone treatment to make it look more attractive. The 7 inch infotainment unit does look good but the real highlight is the fully digital instrument cluster which looks really sporty. 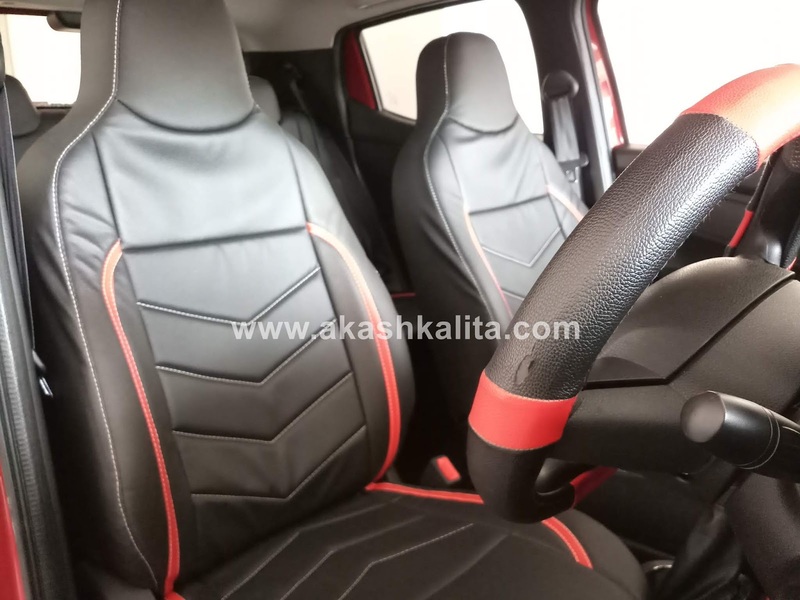 A well chosen set of seat covers can really make the interior more inviting. Front seats with after market seat covers on. The Kwid is a budget car and quality of the overall car is average for the price range. The exterior built quality along with the paint is decent. The black claddings are made of plastic and are clipped on to the body like most modern cars but do not rattle or vibrate. The fuel cover lid could be sturdier as it tends to move out of its position by few millimeters. The dashboard and the body panels are all made up of plastic and the quality is average. 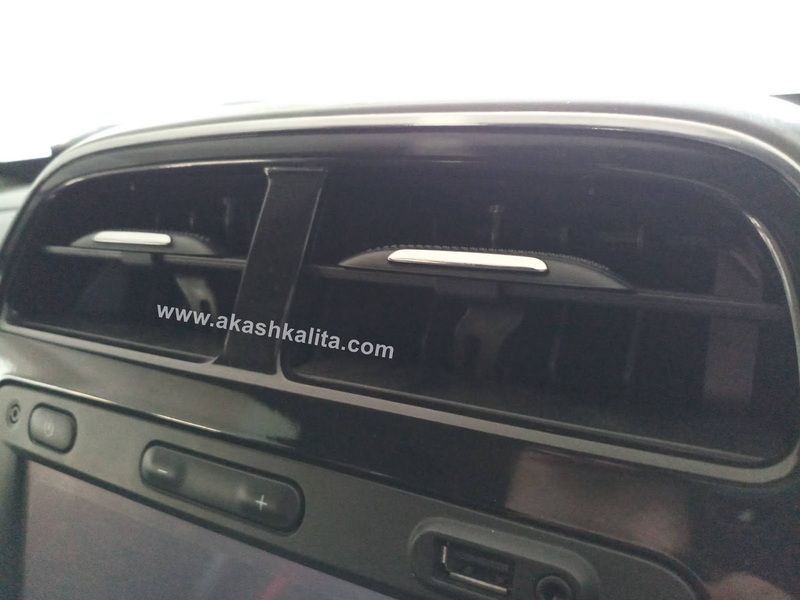 At certain places the quality of the plastic could have been definitely better like the AC vents and on the smaller display of the instrument cluster that displays the trips and fuel economy. 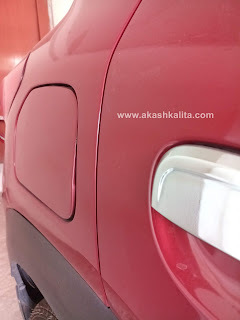 The fitting of the door panels needs improvement as the fitment level can very well be placed below average. The factory fitted fabric seat covers are of good quality but I personally recommend everyone to cover them up later with market seat covers, not just to enhance the looks but also to protect them from damage. The overall interior built quality is average and nothing to complain about at that price tag. 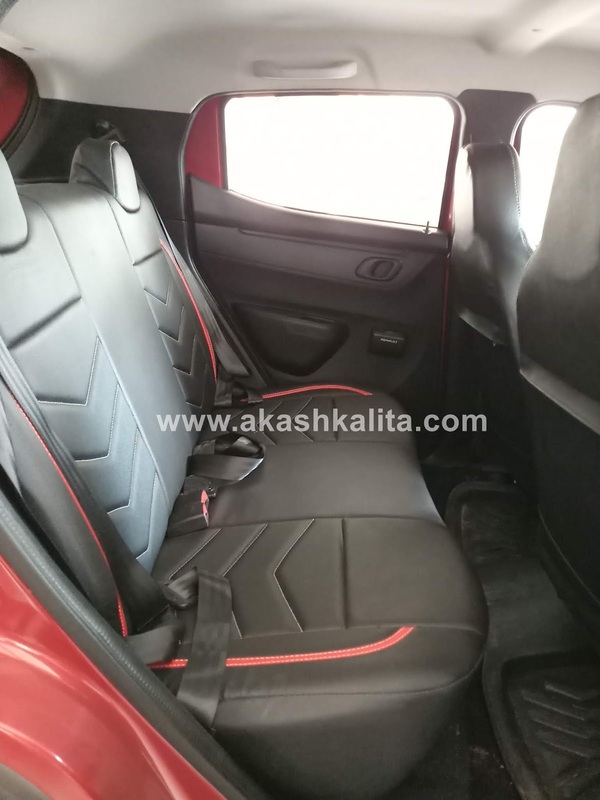 The interior of the Kwid is spacious and does not feel cramped. Four people can sit very comfortably and also with the entry of a third person in the rear, the passengers in the rear do not have to struggle too much for space. The view of the outer world from the inside is good and does not feel suffocating or claustrophobic. There is decent amount of leg and head room too. The seats are good but are rather flat and could have more contouring to provide comfort to the back and the bottom during longer journeys. 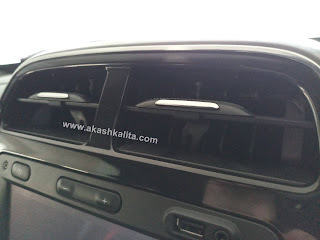 The cooling provided by the AC is great and works fast enough to provide comfort during a hot summer drive. There are dual glove boxes on the dashboard and the front doors have 1 liter bottle holder too. The boot is large enough to carry the entire luggage during your family trips. 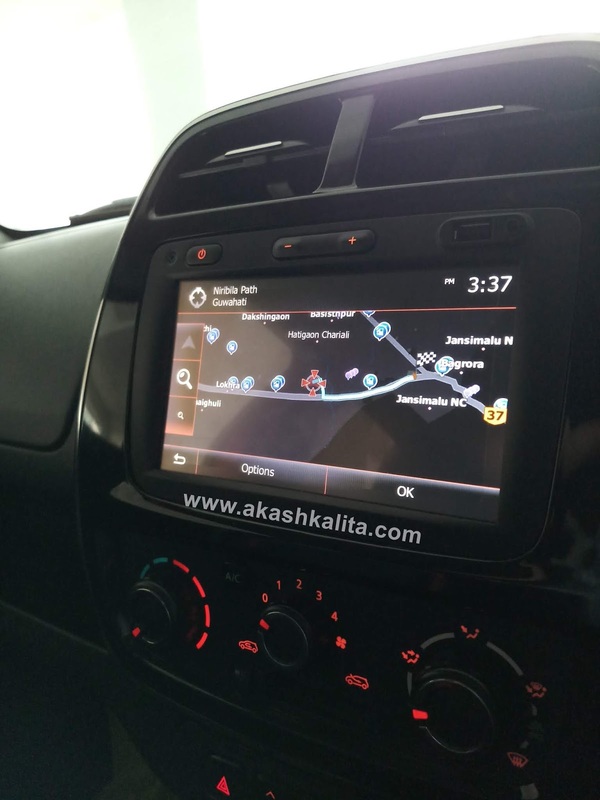 The 7 inch touchscreen infotainment unit is not only good looking but also is loaded with features like bluetooth connectivity, GPS navigation, USB and AUX inputs. The call list and contacts can be synced and you can receive and make calls directly from the infotainment unit. The only disappointment is that, it has only 2 output channel and comes with two speakers on the dashboard. 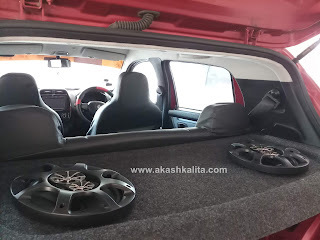 Even if you install two more speakers on the rear parcel tray by extending the connection from the front speakers, you cannot change the output balance of the rear and front speakers like you can do on a 4 channel music system. Since, the Kwid I own has a 800cc (0.8L) engine, the discussed performance levels will be about the same. The engine is a three cylinder setup and hence, the vibrations are significant as compared to a four cylinder car. The transmission is not geared very tall in ratio and therefore, you do not have to rev it too hard before changing gears but you will have to change gears frequently as the RPM climbs down. Although not a deal breaker but the overall gear shifts feels a little hard and are not very smooth, specially the 1st and the 2nd gears. 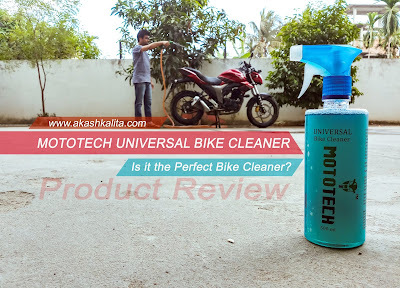 The overall performance is decent for a 800cc vehicle and the car does not feel lazy. There are little vibrations that can be felt near 85 kmph which dulls out as the speed increases. Crossing 100 kmph is not a problem at all. Personally, I have not done a best top speed test yet but have clocked 110+ kmph without any struggle. The car when driven around 70-75 kmph on highway will give a fuel economy of 20-21 kmpl which is pretty good. The brakes are decent but do not have lot of bite and do not encourage you to drive the car at high speeds. Also if the brakes are slammed hard the car tends to skid fair bit. And this brings us to the next topic of discussion, 'Safety'. In the safety department, the Kwid only includes a driver side air bag and lacks everything else like ABS and EBD, which now come as standard in the newly launched Hyundai Santro 2018. Inclusion of at least dual air bags and ABS as optional would have been great because a car is only as good as it is safe for the passengers. The after sale service of Renault is good. It is not a sponsored post but it is worth mentioning that TI Automotive, Six Mile, Guwahati, the dealer from where we bought the Kwid is excellent in terms of customer service and the whole team is friendly and courteous. There is option for door step pick up of the vehicle available too for a service. And the 1st Free Service only cost around INR 1500 (without wheel alignment), and if done during 'service offer camps', you might get yourself a great discount too. 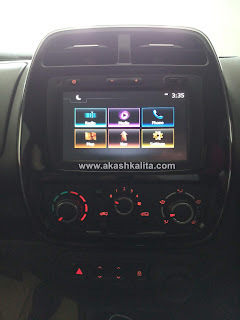 The Renault Kwid is a good car and there is ample amount of areas where it can improve to become even a better car. Little improvement in the overall built quality and addition of dual air bags and ABS at least as an option can make its sales graph even higher. So, the question is "should you buy a Kwid?”. Why don't you be the judge and let me know the decision you make after reading the blog or test driving the car!.